Everyone knows and is talking about buzzwords such as "digitization and Industry 4.0". They are increasingly becoming economic drivers and, certainly, do not stop with logistics. Customers rightly expect comprehensive, competent technologies, transparency, and digital solutions, even in transport logistics. As one of the largest medium-sized companies in the region, we are also extremely flexible in the field of logistics and have always stayed up to date technologically, been innovative and offer each customer tailor-made, individual (transport) solutions for their exact needs. Always optimally networked and thanks to state-of-the-art, digital technology always transparent, fast and efficient in implementation and execution. Always performance-oriented, always exactly according to customer wishes and requirements, right up to technical individual designs. You want alternative drive systems in the transportion sector? Not a problem for Fritz. We work closely with well-known manufacturers, with whom we always find the right solution for you. And of course we pay close attention to sustainability and environmentally friendly drive concepts. 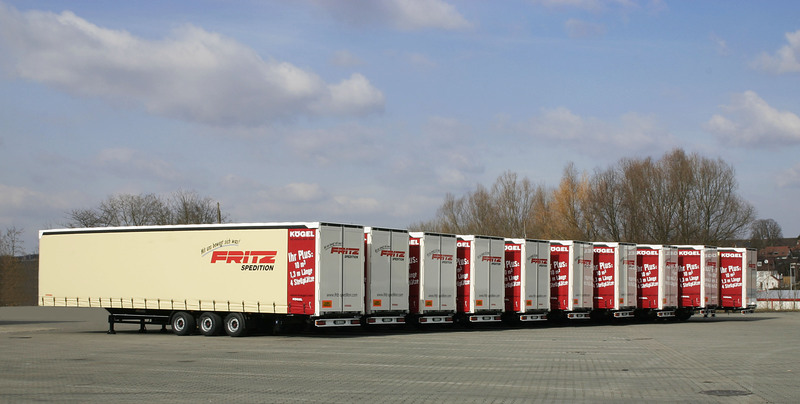 Whether it be ETA, digital process chain, track & trace and much, much more, Fritz is your specialist for state-of-the-art, tailor-made transportation logistics. We are pleased to giving you comprehensive and individualized advice.